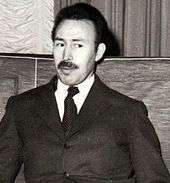 Houari Boumédiène, also transcribed Boumediene, Boumedienne etc., (Arabic: هواري بومدين‎‎ ; ALA-LC: Hawārī Bū-Madyan; 23 August 1932 – 27 December 1978) served as Chairman of the Revolutionary Council of Algeria from 19 June 1965 until 12 December 1976 and thereafter as the second President of Algeria until his death on 27 December 1978. Boumédiène was born Mohammed Ben Brahim Boukharouba near Héliopolis in Algeria's Guelma Province into an Arabic-speaking peasant family of Berber origins, and was educated at the Islamic Institute in Constantine. He joined the National Liberation Front (FLN) in the Algerian War of Independence in 1955, adopting Houari Boumédiène as his nom-de-guerre (from Sidi Boumediène, the name of the patron saint of the city of Tlemcen in western Algeria, where he served as an officer during the war, and Sidi El Houari, the patron saint of nearby Oran). He reached the rank of Colonel, then the highest rank in the FLN forces, and from 1960 he was chief of staff of the ALN, the FLN's military wing. But at this point of the war, the ALN had been defeated and badly hurt by the French operations and Boumédiène accepted a difficult command. He was married to Anissa al-Mansali. In 1961, after its vote of self-determination, Algerians declared independence and the French announced it was independent. Boumédiène headed a powerful military faction within the government, and was made defence minister by the Algerian leader Ahmed Ben Bella, whose ascent to power he had assisted as chief of staff. He grew increasingly distrustful of Ben Bella's erratic style of government and ideological puritanism, and in June 1965, Boumédiène seized power in a bloodless coup. 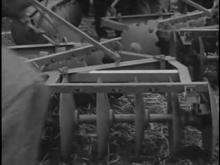 Initially, he was seen as potentially a weak leader, with no significant power base except inside the army, and it was not known to what extent he commanded the officer corps. He remained Algeria's undisputed leader until his death in 1978. No significant internal challenges emerged from inside the government after the 1967 coup attempt. Economically, Boumédiène turned away from Ben Bella's focus on rural Algeria and experiments in socialist cooperative businesses (l'autogestion). Instead, he opted for a more systematic and planned programme of state-driven industrialization. Algeria had virtually no advanced production at the time, but in 1971 Boumédiène nationalized the Algerian oil industry, increasing government revenue tremendously (and sparking intense protest from the French government). He then put the soaring oil and gas resources—enhanced by the oil price shock of 1973—into building heavy industry, hoping to make Algeria the Maghreb's industrial centre. His years in power were in fact marked by a reliable and consistent economic growth, but after his death in the 1980s, the drop in oil prices and increasingly evident inefficiency of the country's state-run industries, prompted a change in policy towards gradual economical liberalization. In the 1970s, along with the expansion of state industry and oil nationalization, Boumédiène declared a series of socialist revolutions, and strengthened the leftist aspect of his administration. A side-effect of this was the rapprochement with the hitherto suppressed remnants of the Algerian Communist Party (the PAGS), whose members were now co-opted into the government, where it gained some limited intellectual influence, although without formal legalization of their party. 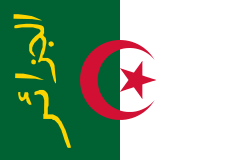 Algeria formally remained a single-party state under the FLN. Political stability reigned, however, as attempts at challenging the state were generally nipped in the bud. As chairman of the Revolutionary Command Council, Boumédiène and his associates ruled by decree. During the 1970s, constitutional rule was gradually reinstated and civilian political institutions were restored and reorganized. Efforts were made to revive activity within the FLN, and state institutions were reestablished systematically, starting with local assemblies and moving up through regional assemblies to the national level, with the election of a parliament. The process culminated with the adoption of a constitution (1976) that laid down Algeria's political structure. This was preceded by a period of relatively open debate on the merits of the government-backed proposal, although the constitution itself was then adopted in a state-controlled referendum with no major changes. The constitution reintroduced the office of president, which Boumédiène entered after a single-candidate referendum in 1978. At the time of his death, later that year, the political and constitutional order in Algeria was virtually entirely of FLN design. This structure remained largely unchanged until the late 1980s, when political pluralism was introduced and the FLN lost its role as dominant single party. (Many basic aspects of this system and the Boumédiène-era constitution are still in place.) However, throughout Boumédiène's era, the military remained the dominant force in the country's politics, and military influence permeated civilian institutions such as the FLN, parliament and government, undercutting the constitutionalization of the country's politics. Intense financial or political rivalries between military and political factions persisted, and was kept in check and prevented from destabilizing the government mainly by Boumédiène's overwhelming personal dominance of both the civilian and military sphere. Boumédiène pursued a policy of non-alignment, maintaining good relations with both the communist bloc and the capitalist nations, and promoting third-world cooperation. In the United Nations, he called for a unity built on equal status for western and ex-colonial nations, and brought about by a socialist-style change in political and trade relations. 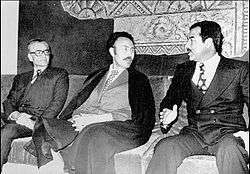 He sought to build a powerful third world bloc through the Non-Aligned Movement, in which he became a prominent figure. He unconditionally supported freedom fighters, justice and equality seekers. He offered logistic assistance to anti-colonial movements and other militant groups across Africa and the Arab world, including the PLO, ANC, SWAPO and other nations. A significant regional event was his 1975 pledge of support for an Western Saharan self-determination, admitting Sahrawi refugees and the Polisario Front national liberation movement to Algerian territory, after Morocco and Mauritania claimed control over the territory. This ended the possibility of mending relations with Morocco, already sour after the 1963 sand war, although there had been a modest thaw in relations during his first time in power. The heightened Moroccan-Algerian rivalry and the still unsolved Western Sahara question became a defining feature of Algerian foreign policy ever since and remains so today. In 1978, his appearances became increasingly rare. After lingering in a coma for 39 days, he died in Algiers of a rare blood disease, Waldenström's macroglobulinemia, following unsuccessful treatment in Moscow. Rumors about his being assassinated or poisoned have surfaced occasionally in Algerian politics. The death of Boumédiène left a power vacuum in Algeria which could not easily be filled; a series of military conclaves eventually agreed to sidestep the competing left- and rightwing contenders, and designate the highest-ranking military officer, Col. Chadli Bendjedid, as a compromise selection. Still, factional intrigue mushroomed after Boumédiène's death, and no Algerian president has since gained the same complete respect, admiration from the Algerians. Houari Boumediene Airport, an airport near Algiers named after him. Houari Boumédienne District, a district in his native Guelma Province named after him. ↑ Boumedienne, Houari (also spelled Boumédiène) at rulers.org. ↑ Bozzo, Anna. "Boumedienne". Encyclopaedia of Islam (3rd ed.). Brill. Wikimedia Commons has media related to Houari Boumediène.